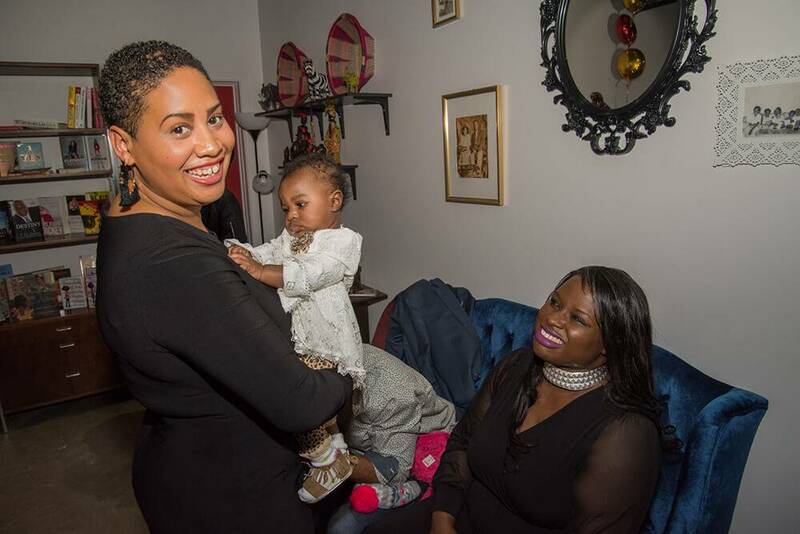 For Raeisha Williams, the idea of opening a female-owned small business was never a question. Growing up, she watched her mother and grandmother co-run a floral shop and African cultural boutique, and she aspired to do the same. Figuring out what kind of business brought Williams back to her heritage. Think of tea and your mind probably goes to Asian tea ceremonies or British tea times. Africa, however, plays a major role in the rising global tea industry. Kenya is now one of the largest exporters of tea in the world and Malawi has the oldest tea plantations in all of Africa. South Africa exports rooibos, an herbal tea known for its red color and earthy flavor, to more than 30 countries globally. Various tea offerings at the Heritage Tea House Boutique. Photo by Armand Langston. More than just growing and exporting, tea is a common part of day-to-day life in African countries. There is a wide practice of social tea ceremonies, seen in both the ataya ceremony in the West African country of Senegal, and in less formal household social gatherings throughout the continent. The U.S. has an embattled history with tea, from the historic Boston Tea Party in 1773 to the total dominance of coffee culture in more recent history. But we’ve always had a soft spot for tea in our get-togethers, and, today, 87 percent of young adults in the U.S. drink it. Small, independent tea rooms gained popularity in the early 20th century. These businesses were often owned and operated by women at a time when this was far from the norm. African American women were a part of the movement, carving out their own social and economic independence. These rooms were important gathering places and provided a safe space in the midst of racial discrimination. True to those cultural roots, Williams and her family often welcomed people into their home over a cup of tea. Turning tea into a joint venture with her mother was the business idea Williams was searching for. 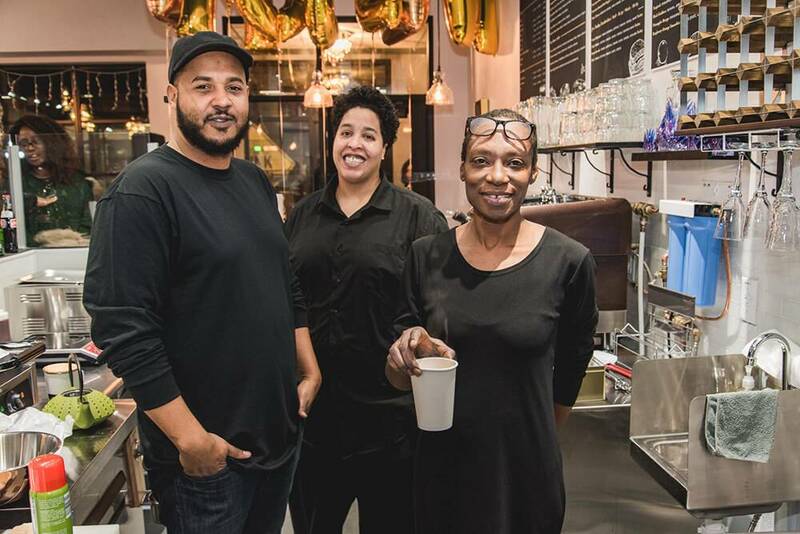 The Heritage Tea House Boutique opened its doors in January 2018 on University Avenue in St. Paul, Minnesota, in a once-thriving African American community fractured by construction of Interstate-94 between 1956 and 1968. Their venture was supported by the Aurora St. Anthony Neighborhood Development Corporation, an initiative to bolster re-development in this area. Tyrone Rashad Williams, Chauntyll Allen and Stayci Bell behind the counter of Heritage Tea House Boutique. Photo by Armand Langston. A small team of family members and friends joined Williams and her mother, Rosemary “Mama Rosa” Nevils-Williams, behind the counter. 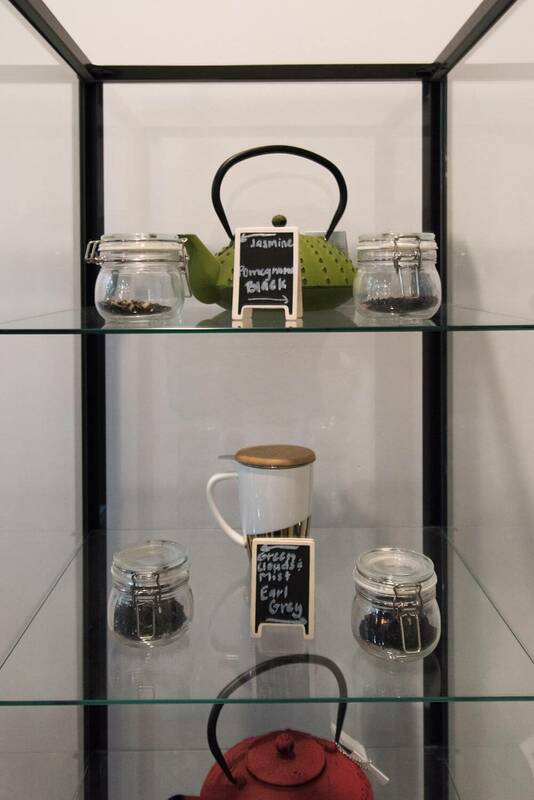 The boutique’s tea offering is vast, with 25 different flavors ranging from comforting black teas to a dynamic herbal blends, all available steeped or iced. But heritage Tea House Boutique takes a page from the early tea houses and offers so much more than just beverages. “Our biggest reviews, our biggest raves, are about our food,” Williams said. The tea house serves sandwiches, rice bowls, soul food and more. Tea is often considered to have healing properties. Williams said she hopes to harness its power to bring people together. “Our greeting is ‘Welcome to the Tea House!’ Everyone that comes through the door is greeted ‘Welcome to the Tea House’ because we want you to know that you’re welcome,” she said. Williams and her mother have gone to great lengths to cultivate a community at Heritage Tea House Boutique. This means filling their bright space with comfortable, unique furniture and create ambiance with decorations and lighting. They embrace their neighbors and make their space available for book club meetings and community events free of charge. They’ve also curated their own event offerings, from yoga, to Thursday night Open Mic Speakeasy, to Friday night R&B and Chill happy hour with a live D.J., to Sunday Soul Food brunch. “Our motto is ‘Eat, Drink, Socialize,’” Williams explained. The people, the customers, are what get Williams out of bed in the morning. And after a family tragedy propelled them to close for five weeks, it was the people and the community that brought her back. Raeisha Williams greets all customers with a smile. Photo by Armand Langston. As they look ahead, Williams, her mother and their team are looking at ways to evolve their business and their offerings, with their sights set on distributing tea and having a future presence at the Minnesota State Fair, a juggernaut of exposure for a small business. But it all comes back to staying true to their mission, to their neighborhood and their heritage.